“ et’s go watch X-Men!” I excitingly asked my wife. My wristwatch read 10:15 AM. “What showtimes’ available?” “Wait,” I replied and checked my mobile. Movie scheds were 12:30 PM, 3:40 PM, and 6:50 PM. “It’s still early we can catch the 12:30 show.” “Ok, I’ll take a bath first and prepare.” she said. Now, when she says that she’ll take a bath and prepare, two hours is the least so as usual I had to make adjustments. I thought to myself, “Instead of catching the 12:30 noon sched, we’ll have lunch somewhere and catch the 3:00 PM showtime.” So being a very understanding hubby, you have to take into consideration the slow-mo that comes with age. My wife during her prime was always on her toes actively employed with the Department of Information under the Office of the President and sent to different parts of the country as her job called for, and of course her other functions as mangaawit, diakonesa, and pananalapi ng lokal. But, that was a long time ago and now she is retired. We both have come a long way. Endured so many trials in life, personal and otherwise. Life in this little planet of ours just happens to be that way. We embrace it the best way we can. I see her preparing, choosing the right blouse and slacks. And having difficulty choosing her shoes. Before, I would usually nag at her saying we would be late if she wouldn’t hurry up. But after a while your senses catch up and you look at her and see how beautiful she has aged. Maybe a few more wrinkles, grey hair, and noticeable limp in her walk. But otherwise she was still the woman you courted and the mother of your wonderful children. It hits you smack in your face. All this time she would never complain of your nagging nor answer back. She would just continue with whatever she would be doing. That’s why I have come to understand that the only thing we men are strong when compared to women is physical strength. Nothing more. Women are stronger in all other aspects. They are better emotionally, weigh things better, and have patience we men should envy. So now, I adjust. When I ask her to accompany me to an event at 1:00 PM, it’s actually 3:00 PM and if it’s for 3:00 PM it’s 5:00 PM. I give her time. I owe her that much. I already had plans that we’d have lunch before watching X-Men. As anticipated we left home around 12:00 noon and reached Ayala Fairview Terraces after 15 minutes. The place is not so crowded compared to SM Fairview and just a stone’s throw from where we live. We parked and I opened my wife’s side and assisted her getting out of the car. “Matanda na tayo,” she quipped. I answered, “Ikaw lang.” “Gago, matanda ka na rin, ayaw mo pang aminin, puro puti na buhok mo!” she blurted out. We both laughed and walked into the mall with her holding on to my arm. We had lunch at Max’s. Sinigang na bangus with fried chicken. Price was reasonable with the senior citizen perks. After a slow lunch, we proceeded to the cinema area, got the tickets and sat down in the lobby. We were an hour early. I told my wife to relax while I go get some potato chips and drinks for the show. When I returned, I found her chatting with an old lady seated beside her. She was a close friend, deaconess, and pananalapi who we had somehow lost in touch with when we transferred to another locale. “Kamusta na po?” I asked. “Ok lang ako, ito may diabetes, malapit ng mamatay” she jokingly quipped. “Anong ginagawa mo rito, sino kasama niyo?” “Wala, ako lang, manonood. Nagliliwaliw.” she replied. She immediately answered, “Wala naaaa, ubos naaa ….Ninakaw na nilaaaa.” There was no stopping her after that. “Paano pala ang mga taga 36 Tandang Sora?” I asked. Her reply was something I hadn’t thought of before. The movie was now about to start so we said our goodbyes. She went inside another theater – a local movie, while we proceeded to X-Men. The movie was great. In fact I love all superhero movies though I feel it’s becoming a little overkill. The story revolves around a powerful mutant named En Sabah Nur destined to destroy the world. It also stresses the importance of family (the main reason why Magneto turned when his daughter and family were killed). And of course the main story lies around the end of the world as we know it. Well, after watching the movie, something crossed my mind regarding the end of the world. I became curious how many prophets actually predicted the end of the world. So I made a few queries and this is what I learned. No predicted apocalyptic events have occurred so far. Here are a few worth mentioning and some rather amusing. 1000 Jan 1: Pope Sylvester II : The Millennium Apocalypse at the end of the Christian Millennium. Various Christian clerics predicted the end of the world on this date, including Pope Sylvester II. Riots occurred in Europe and pilgrims headed east to Jerusalem. 1284: Pope Innocent III: Pope Innocent III (d. 1216) predicted that the world would end 666 years after the rise of Islam. 1600: Martin Luther: Predicted the end of the world would occur no later than 1600. 1656: Christopher Columbus: In his Book of Prophecies (1501), Columbus predicted that the world would end during 1656. 1806: Mary Bateman: In Leeds, England in 1806 a hen began laying eggs on which the phrase “Christ is coming” was written. Eventually it was discovered to be a hoax. The owner, Mary Bateman, had written on the eggs in a corrosive ink so as to etch the eggs, and reinserted the eggs back into the hen’s oviduct. 1901: Catholic Apostolic Church: This church, founded in 1831, claimed that Jesus would return by the time the last of its 12 founding members died. The last member died in 1901. 1925: Feb 13 Margaret Rowen: According to this Seventh-day Adventist the angel Gabriel appeared before her in a vision and told her that the world would end at midnight on this date. 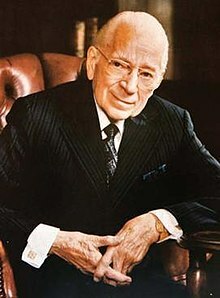 1936: Herbert W. Armstrong: The founder of the Worldwide Church of God told members of his church that the Rapture was to take place in 1936, and that only they would saved. After the prophecy failed, he changed the date three more times. 1941: Jehovah’s Witnesses: A prediction of the end from the Jehovah’s Witnesses, a group which branched from the Bible Student movement. 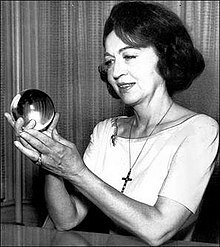 1962: Feb 4: Jeane Dixon, various Indian astrologers: Jeane Dixon predicted a planetary alignment on this day was to bring destruction to the world. Mass prayer meetings were reported from India. 1982: Pat Robertson: In late 1976 Robertson predicted that the end of the world would come in 1982. 1998: Mar 31 Chen Tao: Hon-Ming Chen, leader of the Taiwanese cult God’s Salvation Church, or Chen Tao – “The True Way” – claimed that God would come to Earth in a flying saucer at 10:00 am on this date. Moreover, God would have the same physical appearance as Chen himself. Chen chose to base his cult in Garland, Texas, because he thought it sounded like “God’s Land.” On March 25, God was to appear on Channel 18 on every TV set in the US. Now if you wish to look for a complete list on the apocalypse predicted by no less than one hundred well-known personalities, check this site. A very interesting read. What the old sickly deaconess said mirrors the many brethren and officers’ feeling today. Many hate the church leadership which is alarming. But what’s more alarming was that she wished EVM and Jun Santos die. Why not? We can even pray to God that He takes away those incompetent and corrupt leaders in order to save the Church. Tutoong noon pa tayo nagtitiis simula nang naging kaanib tayo sa Iglesia handog man o natawag. Ilang oras ang ginugugol natin sa pagtupad ng ating mga tungkulin? Dalawang beses isang linggo sa pagsamba kung minsan tatlong beses pa nga tumutupad kung kinakailangan lalo na sa mga okasyon tulad ng Araw ng Pasasalamat at Banal na Hapunan. Pulong dito pulong doon na walang katapusan at ang mga tagubilin ay parang sirang plaka. Ni hindi tayo makapagtanong dahil iyan daw ay tagubilin ng Tagapamahala. Anong klaseng pulong o “caucus” kung isa lang ang nagsasalita at wala ang maaaring magtanong o kumontra sa mga kontrobersiyal na tagubulin? Isama na natin ang lingguhan pagdalaw sa atin sinasakupan. Nakikita natin ang kanilang pamumuhay na wala halos makain pero wala tayong tigil sa paalala na maghandong sila lalo na tuwing buwan ng Pasasalamat at ngayon naman ang “Anniversary Thanksgiving”. Alam niyo ba na dati ang tawag sa “Anniversary Thanksgiving” sa buwan ng Hulyo ay “Semi-Annual Thanksgiving”? Noon bago pa lang akong diakono ay itinanong ko ito sa Pamunuan na bakit may “Semi-Annual Thanksgiving” pa eh meroon na nga tayong Pasasalamat sa Disyembre na iyan din naman ang nakasulat sa biblia. Wala kong mabasang “Semi-Annual Thanksgiving” sa biblia. Hindi nagtagal ay pinalitan nila ng “Anniversary Thanksgiving” na angkop sa pagdiriwang ng kaarawan ng Iglesia. Lusot nga naman. Can anyone explain why during the so called “Lingap sa Mamamayan” brethren wear shirts with “thumb mark” and “I am one with EVM” printed? Banners display EVangelical Mission with EV highlighted to make it appear as EVM? All for show dear Mario, all for show that’s why officers and brethren are obligated to wear those shirts. The end result though is more money to Unlad’s coppers, they make the shirts and all paraphernalias like the thumb mark pins which are then distributed to each locale (captive market, remember?) and obligatory sell it to the brethren and officers. It’s all money making schemes. I know bro. In that recent project in Mindanao, they even distributed shoes. Jun Santos is still very active preaching. I thought he’s dying. Also, what I’m curious about is what and how Duterte reciprocates INC’s endorsement. One of Pastor Quiboloy’s men is part of Duterte’s cabinet. Siguro hindi na lang niya gagalawin ang mga bata ni EVM tulad ni Teddy Raval sa BOC. Check this out. 500 houses were built for the tribe in South Cotabato. A few years ago, napag usapan namin ng isang kaibigan kong Manggagawa ang tungkol sa masuswerteng tao sa mundo. Isa na nga rito ang pamilya ng Ka Erdy, “royal blood” na maituturing sabi nya. Noon yun. Ngayon, hindi natin akalain na dadaan din sila sa matinding pag uusig kagaya nating lahat na tinawag sa Iglesia. Tungkol sa pagtitiis, naalala ko nung bata pa ako, mangaawit sa PNK, tuwing Sabado ng umaga, naglalakad ako ng mahigit 1 oras, bitbit ang toga ko para makarating sa ensayo, tapos dun na matutulog sa kamag anak na malapit sa kapilya para tumupad kinabukasan. Ngayon, may pribadong sasakyan na, ilang minuto lang nasa kapilya na para sumamba pero nagtatalo ang puso ko kung sasamba ba ako o hindi. Hanggang high school, dinanas kong maglakad papuntang pagsamba, kung may konting pera pamasahe, ia-abuloy ko na lang, buong puso, buong kaya. Ngayon, labis-labis ang biyayang natatanggap, hindi kaya ng puso ko na ihandog. Bakit pa, sa marapat na kaukulan, hindi naman napupunta. Noon at Ngayon, maraming pagbabago..
Nararamdaman ko ang nararamdaman mo Ka Raven lalo na’t malapit ka sa mga manggagawa. Tiyak na mas marami kang alam na pasikut-sikot sa loob ng Iglesia hanggang sa kataas-taasan na Pamamahala. Kung akong isang dating diakono ay maraming natuklasan hindi kanais-nais na mga gawain sa lob at sa labas ng Iglesia ng ilang mga ministro at kapatid, ikaw pa kayang may ugnayan sa mga manggagawa? May mga malapit din akong mga kaibigan na mga ministro at manggagawa pero tikom ang mga bibig nila pagdating sa usapang Tagapamahala. Royal Blood? Iyan ang ayaw kong mangyari sa Iglesia. Tutol ako sa puro pamilyang Manalo na lang ang namumuno na para bang wala nang ibang magagaling na ministro. Tignan ninyo ang nangyayari ngayon sa liderato ni EVM. Palpak at bulok. Naging pinuno lang dahil anak siya ni EGM at isang Manalo. Alam kong may paliwanag sila kung bakit puro Manalo na lang ang humahalili…nasa biblia daw at sa kasaysayan ng bayan ng Diyos ay may mga angkan na binasbasan ng Diyos na para mamuno. Pero kung tutoong hindi si EVM ang gustong maging halili ng yumaong EGM, basbas pa ba ng Diyos ito? Kung tutoo ay isang huwad na lider si EVM. Iyan ang naging resulta na isang tambak na iskandalo ngayon sa INC kung hindi karapat-dapat na maging pinuno ang isang taong para bang inagaw lang ang puwesto. Dapat imbestigahan ito dahil talagang maugong ang mga balitang hindi dapat si EVM ang naging pununo. Pero sino naman ang iimbestiga? Hi Bro.WSINDreflection, thank you for editing my nonsense blog truly sometimes I lost prospective and composure. I will go on serving my Lord God. I will be judged on my good works,live my life within HIS words and keep the LIGHT.Their pain in #36 Tandang Sora is my pain. If you will visit Canada or Europe I hope we will meet, your insights and wisdom inspired bretheren like me, THANK YOU KIND REGARDS TO YOUR WIFE my sister. This is another good piece to read. What if many of the doctrines taught to us were twisted in the Bible to suit the church’s beliefs?